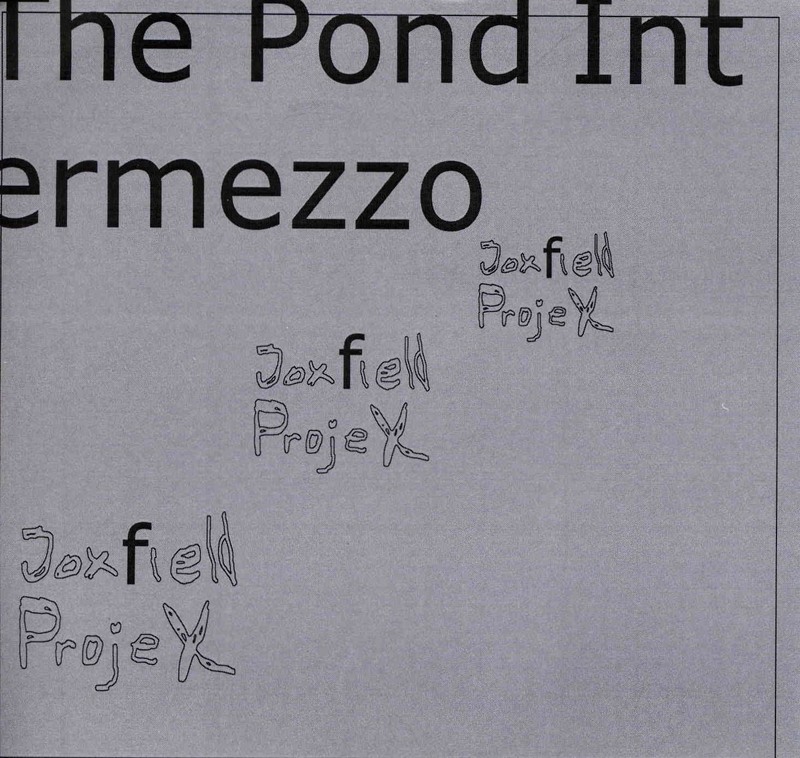 The Pond Intermezzo is a project by the duo of Yan and Oax (Stefan) based in Göteborg, Sweden. This package contains 3 CD-r’s with 193 minutes of music! There is a lot of diverse stuff on these CDs. CD1 features 10 tracks in 60 minutes. The title track begins the CD with 17 seconds of strange harsh noise before going into Dr. Balanova (7min), a dark mysterious feeling track with a basic drum rhythm, some shimmering synth sounds buried in the back but mainly lead by a distorted guitar lead.. Interesting. No More Treasures features some spopen word like singing with a very repetitive synth line going along with the more techno like drum beat. Morning Silence begins with what sounds like real drums and a disorted bass line, This one builds up into quite an intense psychedelic track with a wild distorted guitar line and lead synth. New Frontiers-Leaving Home, is the main track on this first CD, something the band calls 21st century psychedelia. Listen closely.. Anyway, this is the CD with a lot of psychedelic stuff with mostly electronic drums or beats/rhythms, occasionally vocals, guitar, bass and synths in multiple layers..
CD2 is 9 tracks in just over an hour. Black Night Theme Suite 1-V starts it off, this has a dark theme to it and some pretty twisted guitar sounds and strange layers of stuff coming and going all the time. The last 4 tracks are more ambient material. Arabian Night is a very cool track with tabla like drum, strange and mysterious synths and bass line. Madame Balanova Hallucinates is a 7 min ambient psychedelic trip with some nice guitars. CD3 is a little over 71 minutes long and features 5 tracks. Morning a bit Later starts the CD and as the band says is a bit more orchestral but still quite dark in nature yet beautiful and melodic. Not sure I like this stuttering drum or whatever it is in the Dark Castle track… just my taste. Heavy Oax Missing (does that mean this track was made only by Jan??).. Majestic Pattern City Revisited Evolution Parts I-VIII is the major piece on this CD and features a lot of guitar noodling. Pretty cool track.. The CD ends with Morning a bit Later Vietnamese.